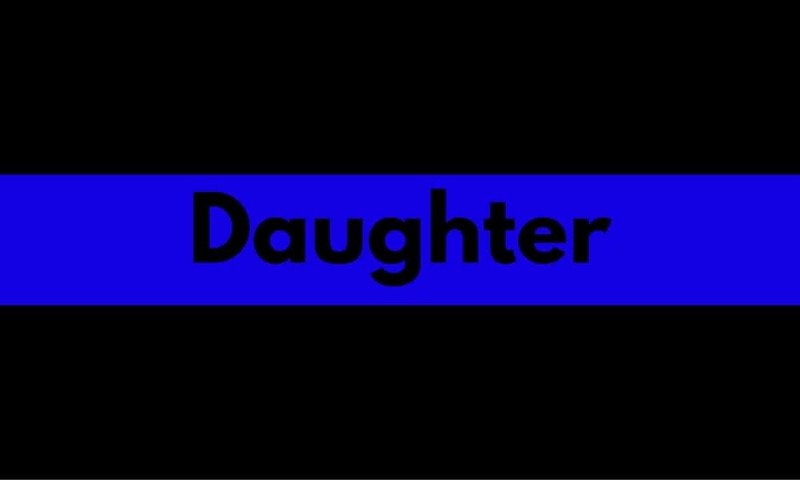 The following is a piece written by a law enforcement personnel’s daughter and her perspective of growing up as a police officers daughter. While many of us have witnessed the negative light shown on law enforcement across the nation over the last couple years, this may be a perspective that many haven’t thought of or experienced. What you just read above is just a glimpse into my childhood. I am a 21-year-old homegrown Minnesota girl whose father is a Minneapolis Police Sergeant. People ask what it is like growing up with a police officer as your father and my response is simple: “He is my dad. How is growing up with a farmer? A Teacher? There is no difference.” However, I would say I spent more time in handcuffs as a child than any child should. Time-outs were rough for me. Then I get, “Well, wasn’t it different than ‘normal’ parents?” To be honest, I don’t remember anything being different about my childhood or even now when compared to my friends’ lifestyles. Well, besides when you have friends over and all they want to hear is cool cop stories. The only thing I think makes growing up as a police officers daughter different than any other parent is the extended family I gained. The thin blue line family is an amazing thing to be a part of. The bond that the police officers have for one another and their personal families is something that I quickly realized could never be broken. I consider my dad’s partners my family and the phrase, “Mess with me you’ll get the horns, mess with my family, and you’ll get the whole bull,” stands true. The amount of passion these men and women have for protecting each other, each other’s families and people they do not even know is unimaginable. Needless to say, if there were a zombie apocalypse, I would want them on my team. They say you shouldn’t get a tattoo of a loved one’s name, initials or anything related to them since it is permanent and you never know what could happen. Well, I broke that “rule”. When I was a freshman in college in 2012, I realized what my family meant to me. I ended up getting a tattoo of my fathers badge number (a four digit identification number) in my mother’s handwriting on my wrist. Out of my seven tattoos, this one means the most. Growing up as a cop’s daughter has its ups and downs. You are for sure a little more scared of breaking curfew or any house rules that might be set because having to go to jail was a real thought. But really, if anything, I felt like I was held to a higher standard and in a positive way. However, with every positive there is a negative, and that for me is my biggest fear — upsetting my father. There is no worse feeling than having a parent disappointed in you, but for me that was the equivalent of being compared to someone that he may have dealt with that day. I always had, and still have to remember he only does it cause he cares. My fear, which is as real as they come, is worrying that he won’t make it home safe. You hear stories on the news, or a clip on the radio about a police officer being gunned down or shot, and for a moment, time just stops. A million things go through your head: What was the last thing I said? I did? Is he okay? Was it him? What was he working on today? The relief comes when receiving a call or text saying, “He’s okay.” The hard part is having that feeling every morning or night. It’s almost like a reoccurring dream, but there is no waking up. I can say that growing up with a parent as a police officer has allowed me to see both sides of the job and understand it is so much more than just writing a speeding ticket or breaking up an underage party. These men and women are people who have decided to put their lives aside to protect and serve people they don’t even know. The police shaming that has occurred over the last few months is something I will never understand or be okay with. I look at it this way, if you have so much against law enforcement then don’t call them the next time you are in trouble. Deal with the issue or situation by yourself. And just because I am curious, be sure to let me know how it goes. These people do so much and they honestly aren’t trying to ruin anyone’s day. They too want to go home at night, just like the rest of us. With that, I leave you with this, my dad is the first person I would call in any situation, and he is the first person you call in an emergency. I would say we are both pretty lucky to have law enforcement in our lives. Hi my name is Leann I grew as a police officers child. I know how you feel. My father became a police officer when I was 2. So I dont remember him not being a police officer. I have enjoyed being a police officer child. He just celebrated being cop for 18 years back in July. I have also enjoyed every minute of it. Great story. I gave three grand kids who had my son, a cop for a father, and they grew into such beautiful human beings. Give the cops what they truly deserve your respect. Glad you enjoyed it, Joanne! All of us at Homes for Heroes send our appreciation to you, your son and his family.